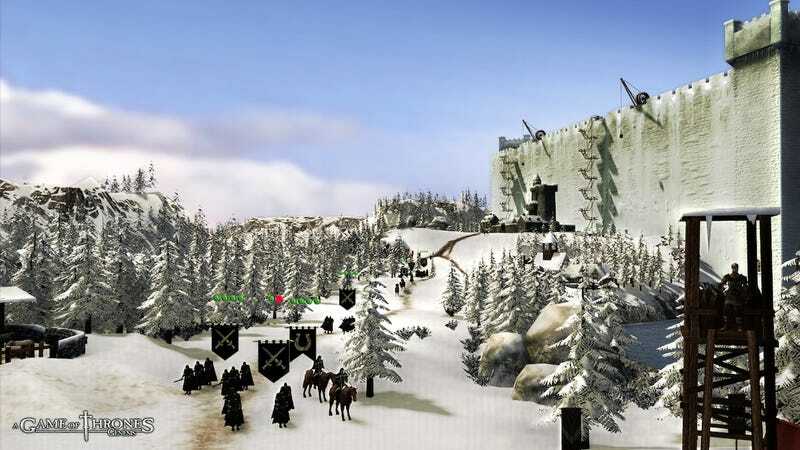 We've got some new screens from Cyanide's upcoming PC Strategy game Game of Thrones: Genesis. (Some of these screens have been around a little while, but I figured I'd throw them in there as well). These shots might not look too remarkable, but that's the thing about Game of Thrones—the devil's in the details.The game's full title might have some Sega/90's band/anime baggage, but any game that lets players stage huge battles in Westeros sounds like a winner. I wonder if it'll will have either a Tyrion-insult minigame or more realistically, the option to stage a Direwolf-aided ambush in the Whispering Wood.